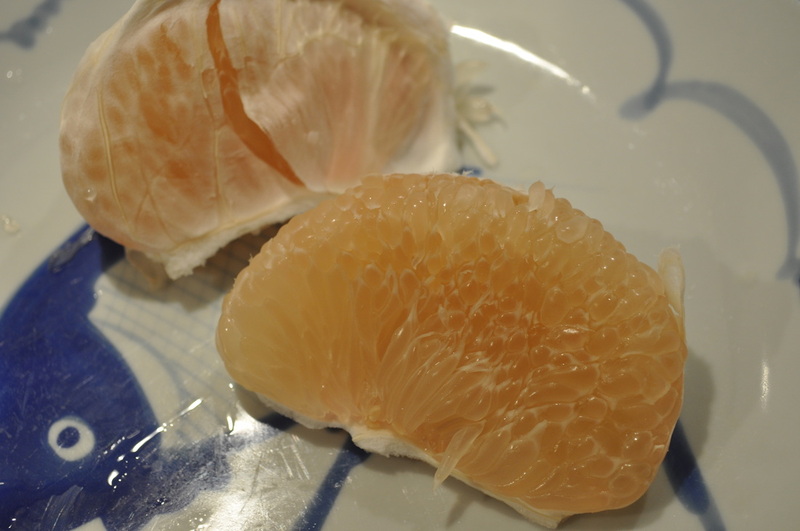 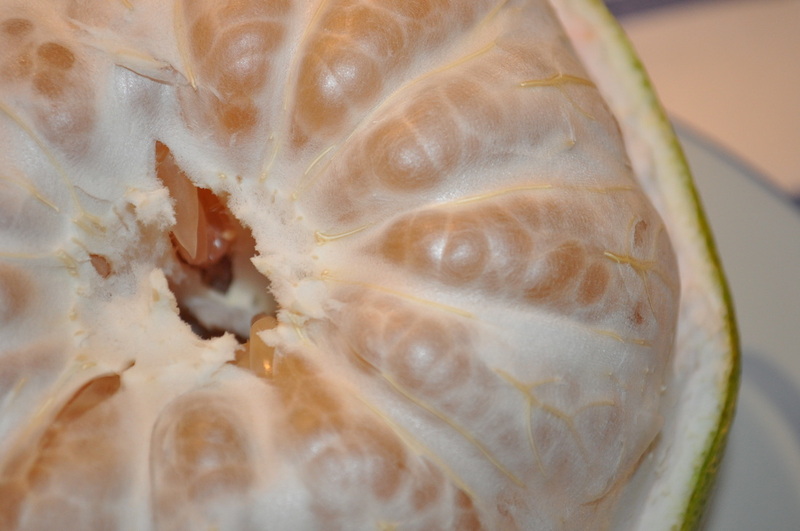 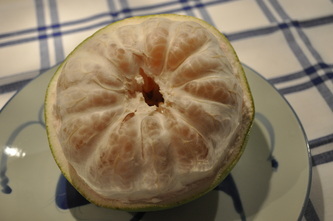 Pomelo is a citrus fruit, native to Southeast Asia. It has a curious sweet and sour taste but is not as sour as grapefruit. 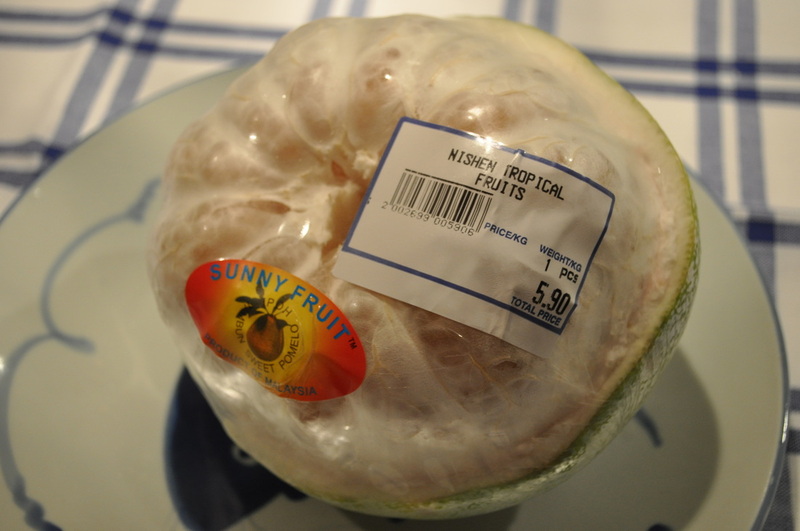 I recently tasted this fruit at a Thai Restaurant where they made a Pomelo and Shrimp Salad dish, it was very good so I went out and bought one to see what it tasted like on it's own.